Follow the news and stories on Monsanto, which is a US multinational agrochemical and agricultural biotechnology company, headquartered in Creve Coeur, Greater St. Louis, Missouri. Monsanto is known for its Roundup product, which is the main producer of genetically engineered crops. Get the news and details on Monsanto’s background, activities and production. Monsanto has been accused in biopiracy and endangering the Earth's biodiversity. Find the news and updates on the controversy and accusations of Monsanto products and activities. 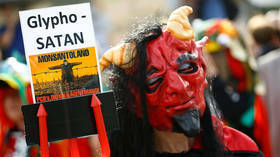 Monsanto, because of its alleged anti-ecological policies, causes protests all over the world, which are also covered by RT. Check out the most recent news and updates on that matter. In 2018 Monsanto merged with Bayer, following the charges and alleged ghostwriting controversy. Don’t miss the news on the purchase of Monsanto by Bayer. 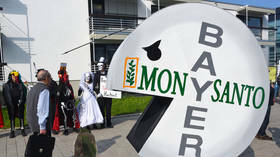 Bayer said it will ditch Monsanto's 117 year-old name following a $63 billion takeover of the US agrochemical giant. Vietnam is again seeking justice for the victims of Agent Orange, inspired by the multimillion-dollar verdicts against Monsanto in California. The biotech firm had supplied the US military with the chemical during the Vietnam War. 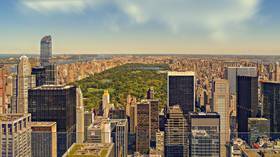 Two New York City council members have introduced legislation that would ban the spraying of glyphosate-based herbicides and other toxic pesticides in parks and other public spaces. 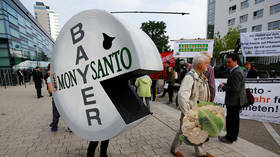 A French court has ruled that US agrochemical firm Monsanto, currently owned by German drug company Bayer, was liable for the sickness of a farmer who inhaled fumes from a weed killer made by the company. A San Francisco jury has awarded $80 million to a man with non-Hodgkins lymphoma, determining Monsanto's infamous glyphosate-based herbicide, Roundup – now owned by Bayer – caused his cancer. 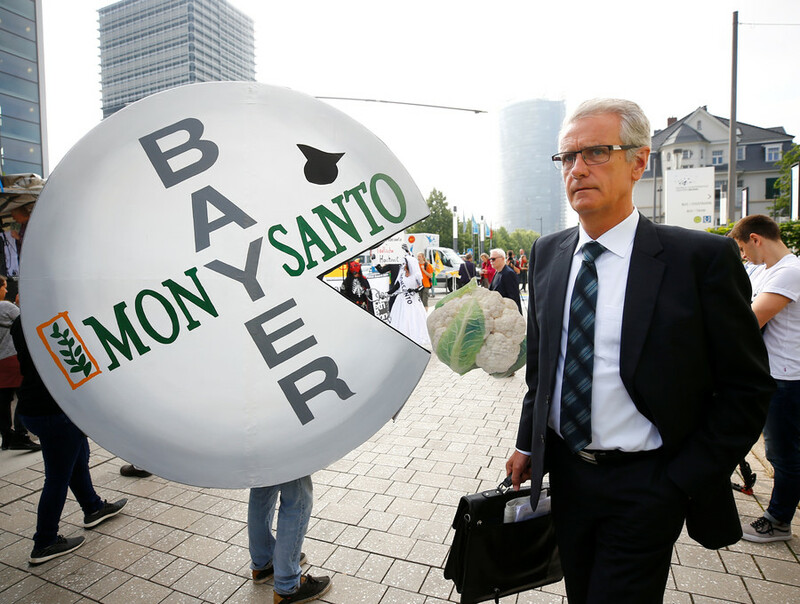 The CEO of German chemical giant Bayer, Werner Baumann, has defended the multibillion-dollar takeover of Monsanto despite the huge legal costs that are piling up over the firm’s Roundup weed killer. Los Angeles county authorities have banned all use of notorious weed killer glyphosate – the herbicide better known by its Monsanto/Bayer trade name, Roundup – after a second court ruling linking it to a man’s cancer.